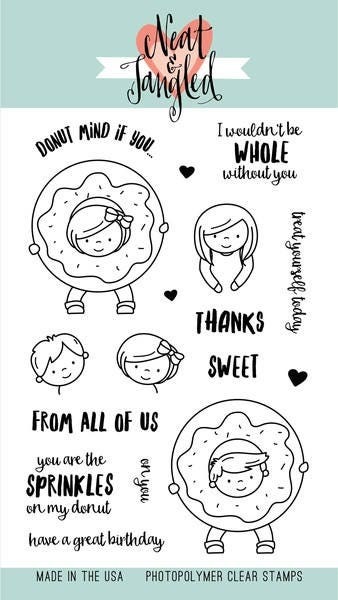 Say Yes to Donuts is a sweet 4x6 inch set filled with cute kids and super-sized treats! Use the various kids to create personalized cards, and finish them off with original sentiments! Has coordinating Say Yes to Donuts Dies.